Did you just graduate? Congrats!! Now it’s time to begin life as a freshman in the real world. The question is, where should you start? Fox Business and WalletHub produced an article with key statistics what will definitely sway your decision. I’ll give you a hint, if you’re thinking New York, NY, Philly, or Santa Clarita, CA, I’d think again. 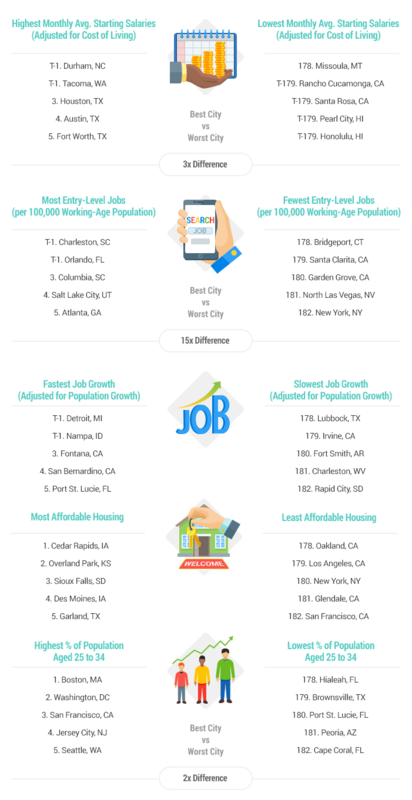 Here are the top 10 best and worst places to launch a career. Crawford Thomas Recruiting is Headquartered in Orlando with offices in Atlanta and Austin! Submit your resume to the positions you’re qualified for and our recruiters can reach out to you directly!